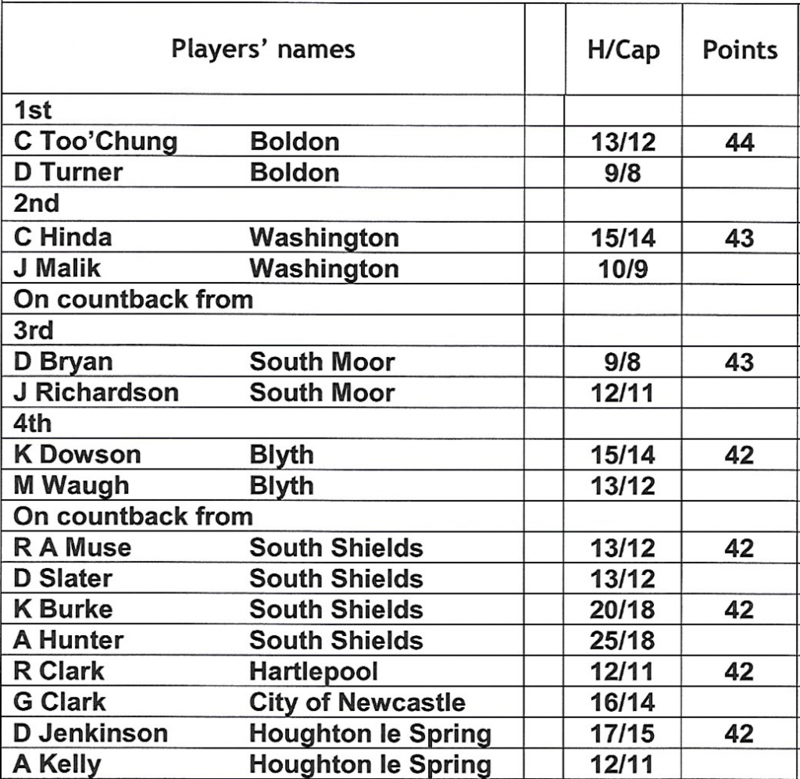 Jamie Pringle & Ian Bell played in the Monthly Medal (4) competition. They did not return their scorecard or enter it into the computer. The 36-hole match play final was played between Stephen Tooley & Richard Gay with Stephen Tooley running out the winner. Congratulations to Stephen on your success. The 36-hole match play final was played between Jeff Wilson & Nigel King against Graham Binks & Stephen Binks with Jeff Wilson & Nigel King running out winners. The final of the above was played out between, John Conroy and Colin Richardson, with John Conroy winning the 36 hole match play.